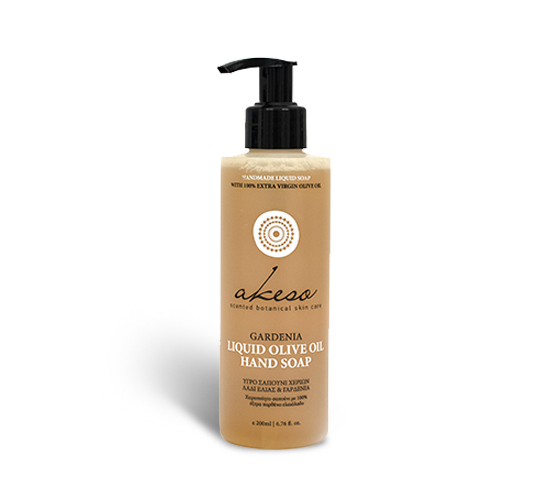 This handmade liquid Akeso soap cares for your hands, leaving a sense of freshness and softness. Does not cause dry skin and is ideal for frequent use due to the beneficial properties of the olive oil. The flowery scent of the gardenia essential oil calms and travels your senses. Extra virgin olive oil, potassium hydroxide, coconut oil, grape seed oil, castor oil, glycerine, gardenia essential oil, water from the springs of Taygetos.